1. I got back together with my boyfriend last Thursday. No, no, not that boyfriend. My real boyfriend. In all seriousness, though, I’m super excited to be registered for the race again this year. Shout out to CARA’s Marathon Incentive Program for making this a possibility. I much preferred doing this to dealing with the stress of the lottery, and plan to do the Marathon Incentive Program again this year (I’ve already finished my volunteering requirements, and will have two of my five races completed by the end of this weekend). Assuming I finish the Chicago Marathon this year and next year, I’ll have my legacy entry and will be set in terms of guaranteed entries for the next five years, more if I keep running the race. Let us pause for a moment to digest the absurdity of that. If I dedicate two more consecutive summers to training, totaling 36 weeks of my life, and go through the suffering of running a marathon two more times, I won’t have to worry about being denied the opportunity to do those same things all over again, every summer, for at least five more years. For those of you not quite as, ahem, “committed” (read: insane) as I am, you still have time to enter the lottery for this year’s Chicago Marathon or to cash in a guaranteed entry if you have one, either by being a legacy runner, a charity runner, an international tour partner runner, a 2015 deferred runner, or a time qualified runner (i.e. : definitely not me). Guaranteed entry registration and the lottery both close next Tuesday, though, so get on that if you want to run with me! 2. So I started my new job last Monday, as I mentioned, and so far things have gone really well! My last day at my old job, as I predicted, was very difficult. I did, indeed, cry a lot. But I also brought in treats to ease the pain, so there’s that. I had no desire to go to my new job on my first day (typical Bethany, raging against change, even if she instigated the change herself), but I walked out of the office Monday afternoon knowing I had definitely made the right decision. I went from a very small company to a much larger, much more corporate environment, and I was worried about how that would impact my quality of life. As it turns out, all my worrying was for naught (surprise, surprise). My new boss was just as accommodating as my old boss to my…utter lack of interest in working during the 4:00 hour on a regular basis and things, in general, seem much more chill and relaxed than I expected–which is fine with me, because corporate stuffiness is not my scene. I do miss my old job (and haven’t checked out entirely yet, as I help wrap up one more outstanding project), but I think in the long run this was the right move for me, even if it has drastically cut into my blog commenting (I promise I’m still reading, though!). 3. I love March Madness, and fill out at least one (usually more than one) bracket every year, despite the fact that I pay no attention to college basketball during the regular season. This year, I entered three different pools with low expectations as always. Fortunately, I didn’t have Michigan State winning in any of my brackets, so their early exit hurt me less than it hurt most people. Even more fortunately, I had Villanova and UNC each winning in one of the two brackets I cared about (sadly, I had UNC winning in the pool I cared about the most, but beggars can’t be choosers, eh?). I expect that this will never happen again at any point in my life. I finished in the 98.7th percentile on ESPN, which I imagine is the best I will ever do, so even though I don’t have a free month of climbing coming my way like I would have had UNC won, I at least now know what the ESPN Tournament Challenge app looks like when you correctly pick the national champion. Have you ever called the national champion during March Madness? Who else is running the Chicago Marathon this year?? Or hoping to run the marathon, if you’re in the lottery. I think it is pretty impressive to pick the right winner. I only finished in the 26 percentile so ouch. I’m glad to hear your job is going well so far! It’s good to get started on the right foot! Hahaha that’s definitely much closer to where I normally finish! Having Michigan State lose so early on did me a lot of favors, I think, since so many people had them winning it all. 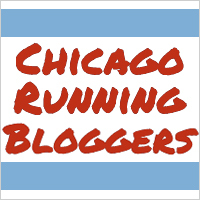 I’ll be running Chicago! I got in with a guaranteed entry because of qualifying time at my last marathon. I am so excited to run a flat marathon course and hopefully be able to have a big PR! My manager hopes to grow our team in the coming years, so I will certainly keep you posted! Obviously I can’t make any sweeping statements this early on, but so far, I’ve been so, so impressed with how well they treat us. It’s nice to feel so valued and appreciated!